Everyone loves to gripe about air travel, but what about hotels? On a recent trip around the world (New York City-Frankfurt-Singapore-Tokyo-Los Angeles-New York City), I stayed in six different hotels of various quality, and while my flights were perfect (thanks, Singapore Airlines and United) the hotel stays weren’t always so. To their credit, you’re much more likely to get a gripe resolved at a hotel than you would with an airline. Usually a word or two with the front desk and they’ll take money off your bill or even eliminate that night’s room charge, and I’m not shy about marching down to the front desk to get satisfaction, such as when a wake-up call didn’t arrive one morning or when a hoard of raucous teenagers kept me up all night by racing past my door. I own an iPad, but I’m one of those Neanderthals who still reads real books—and I usually do it in bed. Very few hotels have decent bedside lighting (some do, of course, such as the Intercontinental Singapore and the Fairmont Battery Wharf Boston—but not its sister property, the Fairmont Copley Boston). Instead they give you fancy looking table lamps on a nightstand with those dim fluorescent light bulbs. Some hotels are getting better at installing enough electrical outlets at desks (though there never seem to be enough), but I want to charge my laptop and iPad while in bed without hunting behind furniture only to find that the clock radio and the aforementioned dim lamp are hogging the only outlet. In fact, I’m writing this as I recline in bed and notice that my MacBook Air needs to be plugged in soon. There’s nowhere to do that. I just want to turn the darn TV on to watch television! I don’t want to see the paid movie selections or get a virtual tour of the property. Hotels first try to sell you their in-room movies and other services, and it’s annoying, especially since every system is different. How about just a simple alarm clock? An on/off button and then set time. I don’t need a clock radio or an iPod dock that never seems to work anyway. New rule: All hotel room alarm clocks around the world should be standardized. Really, $35 for two pieces of toast, some juice, two eggs, and a sausage? Eight bucks for a coffee plus a service charge and tip and tax? Every hotel is different. I can never figure out which way is hot and which way is cold. Even with a 50 percent chance of getting it right, I always seem to get it wrong. Can’t we standardize this? Why do maids at hotels that offer turndown service turn the radio on to some dumb easy listening or new age radio station. It takes me five minutes to figure out how to turn the damn thing off (you’ll have noticed that I’m not very adept with knobs, switches, and buttons). Most hotel rooms have a small foyer between the hallway door and the room. If I designed hotel rooms, they’d have a second door between the hallway door and the room to block out noisy late-night revelers. How hard would it be to design hotels like this? Speaking of which, why can’t hotel room doors close softly instead of waking me up in the middle of the night? All hotels should install ergonomic task chairs. The room turns into a dark tomb, great for sleeping but I’d rather wake up with the sun and enjoy the nighttime view. Front desks should ask you if you want your blinds drawn at turndown. It’d save the maids from doing extra work. In some rooms, it takes me ages to figure out how to turn off all light switches. How about a single switch that shuts every light off? I’ve literally spent 15 minutes trying to figure out how to turn off a single light. “Junior” suites, “executive” suites. A suite has a wall between rooms. Don’t use “suite” to describe a room if it’s just a big room. If you’re going to charge $15 a day for Wi-Fi service, at least make sure it’s fast and reliable in every single room of your hotel. In fact, don’t charge for it at all. I remember when you could stay in a hotel for $40 a night. In fact, you still can in some cities. But why is there a mandatory $40 per night valet parking charge with no option to self-park? Does it really cost $40 to store your car for the evening? Do Hotel Folks Believe Their Own Hype? What did I miss? 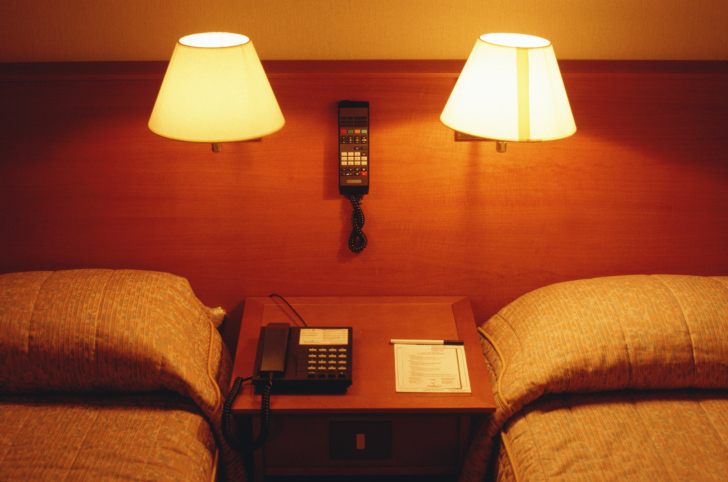 Feel free to vent in the comments with ways you’d improve the hotel experience.